Heat beer and bratwurst to boiling in 2-quart saucepan; reduce heat. Cover and simmer about 10 minutes or until heated through; drain. 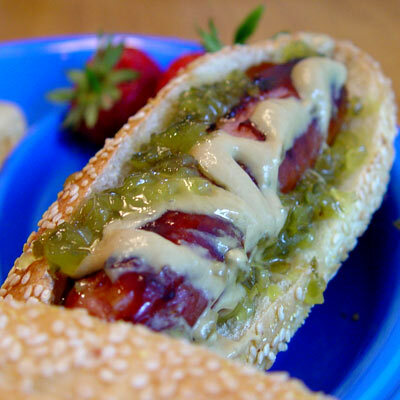 Place brats on buns and garnish with relish and mustard.